Ok, ok. U2 may not be the coolest band around. Certainly not since their “Elevation” days, anyway. Despite the travesty of the aforementioned single, however, one good thing that came out of their “Elevation” tour in 2001, was this rendition of their song, “In A Little While”. 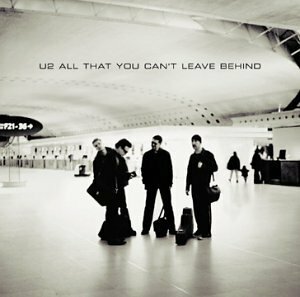 Perhaps one of my favourite U2 songs of all time, there is a tenderness to “In A Little While” that Bono really can turn on, when he wants to. It’s a strange fact that a listener can shape a song after it was written. This is the case with “In A Little While”. The song was the last song Joey Ramone listened to, on his deathbed. All That You Can’t Leave Behind , and slipped the CD into a music player in Joey’s room. The track he played was Bono’s own, “In a Little While”. Songs are changed by the act of listening. And that’s a beautiful thing. Previous Post Andy McKee is a better guitarist than you.